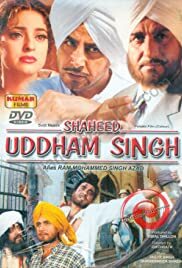 Udham Singh has been inspiration. yes the way he has been presented is lovely. And true. I like the way he killed the O'Dyer. Atkinson: "I am not going to listen to a political speech." U Singh: "You asked me if I had anything to say." Atkinson: "If you have anything to relevant to this case, say it." Atkinson: "Is it written in English?" Atkinson: "I shall understand it much better if you will hand it to me to read." U Singh: "No, I want it for myself, not for you." Atkinson: "I can not make out what you are saying." U Singh: "You will understand what I am reading now. Do you want me to read it or not?" Atkinson: "I shall understand much more of it if you give it to me to read." U Singh: "Who will read it?" Atkinson: "I will read it." Atkinson: "You may take it that nothing will be published of what you say." Atkinson: "You must stick to the point, but go on." U Singh: "I did it to protest and this is what I mean. I want to explain. The jury was misled about the address. I shall read it now. Shall I read it now?" U Singh: "I shall like to read the lot, you know." Atkinson: "You are only entitled to say why the death sentence should not be passed upon you. You are not to entitle to make a political speech." Atkinson: "I am not going to any more, you can put this paper away. I am going to pass sentence upon you." U Singh: "You do not want to listen any more because you are tired of my speech, eh? I have a lot to say yet." Atkinson: "I am not going to hear any more of that." Udham Singh thumped his clenched fist on the rail of the dock and shouted three words in Hindustani: "INQLAB, INQLAB, INQLAB" and then: "DOWN WITH British IMPERIALISM. DOWN WITH British DIRTY DOGS! AND LONG LIVE India!"